1 The word of the Lord that came to Ioel the sonne of Pethuel. 2 Heare this, yee olde men, and giue eare, all yee inhabitants of the lande: Hath this been in your dayes, or euen in the dayes of your fathers? 4 That which the palmer worme hath left, hath the locust eaten; and that which the locust hath left, hath the canker-worme eaten; and that which the canker-worme hath left, hath the caterpillar eaten. 5 Awake ye drunkards, and weepe, and howle all yee drinkers of wine, because of the new wine, for it is cut off from your mouth. 6 For a nation is come vp vpon my lande, strong, and without number, whose teeth are the teeth of a lyon, and he hath the cheeke-teeth of a great lyon. 7 He hath laide my vine waste: and barked my figge-tree: hee hath made it cleane bare, and cast it away, the branches thereof are made white. 8 ¶ Lament like a virgine girded with sackecloth for the husband of her youth. 9 The meate offring and the drinke offering is cut off from the house of the Lord, the Priestes the Lords ministers mourne. 10 The field is wasted, the lande mourneth; for the corne is wasted: the new wine is dried vp, the oyle languisheth. 11 Be yee ashamed, O yee husbandmen: howle, O yee vine-dressers, for the wheate and for the barley; because the haruest of the field is perished. 12 The vine is dried vp, and the figgetree languisheth, the pomegranate tree, the palme tree also and the apple tree, euen all the trees of the field are withered: because ioy is withered away from the sonnes of men. 13 Gird your selues, and lament, yee Priests: howle, ye ministers of the Altar: come, lie all night in sackecloth, ye ministers of my God: for the meat offering and the drinke offering is withholden from the house of your God. 15 Alas for the day: for the day of the Lord is at hand, and as a destruction from the Almightie shall it come. 16 Is not the meate cut off before your eyes, yea ioy and gladnesse from the house of our God? 17 The seede is rotten vnder their clods: the garners are laide desolate: the barnes are broken downe, for the corne is withered. 18 How doe the beastes grone? the heards of cattell are perplexed, because they haue no pasture, yea the flockes of sheepe are made desolate. 19 O Lord, to thee will I crie: for the fire hath deuoured the pastures of the wildernesse, and the flame hath burnt all the trees of the field. 20 The beasts of the field crie also vnto thee: for the riuers of waters are dried vp, and the fire hath deuoured the pastures of the wildernesse. From the desolations about to come upon the land of Judah, by the ravages of locusts and other insects, the prophet Joel exhorts the Jews to repentance, fasting, and prayer. He notices the blessings of the gospel, with the final glorious state of the church.A plague of locusts. (1-7) All sorts of people are called to lament it. (8-13) They are to look to God. (14-20)1-7 The most aged could not remember such calamities as were about to take place. Armies of insects were coming upon the land to eat the fruits of it. It is expressed so as to apply also to the destruction of the country by a foreign enemy, and seems to refer to the devastations of the Chaldeans. God is Lord of hosts, has every creature at his command, and, when he pleases, can humble and mortify a proud, rebellious people, by the weakest and most contemptible creatures. It is just with God to take away the comforts which are abused to luxury and excess; and the more men place their happiness in the gratifications of sense, the more severe temporal afflictions are upon them. The more earthly delights we make needful to satisfy us, the more we expose ourselves to trouble. 8-13 All who labour only for the meat that perishes, will, sooner or later, be ashamed of their labour. Those that place their happiness in the delights of sense, when deprived of them, or disturbed in the enjoyment, lose their joy; whereas spiritual joy then flourishes more than ever. See what perishing, uncertain things our creature-comforts are. See how we need to live in continual dependence upon God and his providence. See what ruinous work sin makes. As far as poverty occasions the decay of piety, and starves the cause of religion among a people, it is a very sore judgment. But how blessed are the awakening judgments of God, in rousing his people and calling home the heart to Christ, and his salvation! 14-20 The sorrow of the people is turned into repentance and humiliation before God. With all the marks of sorrow and shame, sin must be confessed and bewailed. A day is to be appointed for this purpose; a day in which people must be kept from their common employments, that they may more closely attend God's services; and there is to be abstaining from meat and drink. Every one had added to the national guilt, all shared in the national calamity, therefore every one must join in repentance. When joy and gladness are cut off from God's house, when serious godliness decays, and love waxes cold, then it is time to cry unto the Lord. The prophet describes how grievous the calamity. See even the inferior creatures suffering for our transgression. And what better are they than beasts, who never cry to God but for corn and wine, and complain of the want of the delights of sense? Yet their crying to God in those cases, shames the stupidity of those who cry not to God in any case. Whatever may become of the nations and churches that persist in ungodliness, believers will find the comfort of acceptance with God, when the wicked shall be burned up with his indignation. Disobedience is a sin. So, why do we expect to live in sin and receive a blessing from God, If God hate sin? We are punished by parents, and the laws of the nation, when we commit sin and break the laws, so why should God not punish us when we break his laws and sin. God is love and hate sin, so why do we sin and expect God to keep loving us when we treat God like we hate Him. Sin is our enemy. Robin: I Told Everyone that Knows me and Others what Christ Has Done in My Life and How to be Saved. Before, I Never Talked Much. Now I'm Talking to Everyone. Most Would Say Something Happened, He's Talking. But I Held on to Smoking. 1 Day The Choice was Smoke or Tell The Pastor, 1 was Saved. As I Reached for The Phone The Lord Said: You Will Never Smoke Again. My Smoking Was Going! Instantly! Thank you for your word, Lord. I ask you to intercede for me for my smoking. I do not want to quit because I am working to earn salvation, but I want to quit to be more pleasing to your temple. I need the mental stamina to endure the addiction. I know it is trivial compared to your suffering saints my Lord. I am so ashamed. Please help me Holy Spirit. Thank you, I love you with all my heart Lord. Yet even now, even in the midst of the trumpet blasts of the alarm of war in the heavens; even while the bowls of punishments and destruction of God's wrath being poured out; if there's even a moment until they take the mark of the beast; the place and duty of the Elect is to sound the alarm and call the congregation together, to fast and pray and seek the LORD. The armies of the enemy are coming! 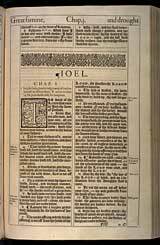 We are absolutely in a world just exactly as the Prophet Joel wrote about. On account of the centuries and generations of the Nations being held under the tyranny of the devil's wicked perversions, slanders and lies against God and against His Anointed; like the house of a drunkard, and whose ancestors and children have all been likewise devoured and desolated by debauchery; the end is upon us.